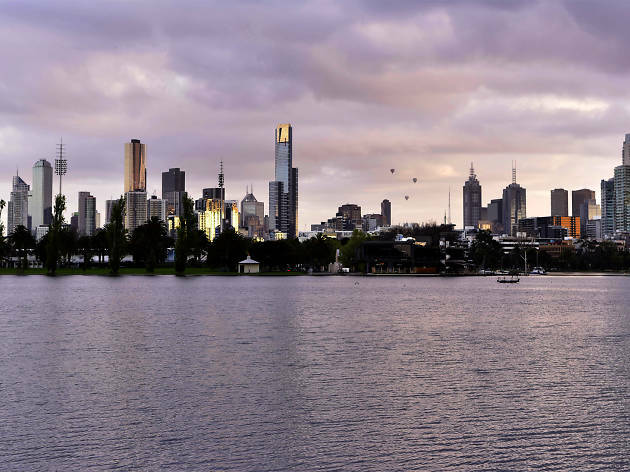 OK, so we’re not as big as London, and our skyscrapers aren’t as tall as New York’s, but Melbourne’s skyline has a lot to offer, especially if you know where to go to make the most of it. 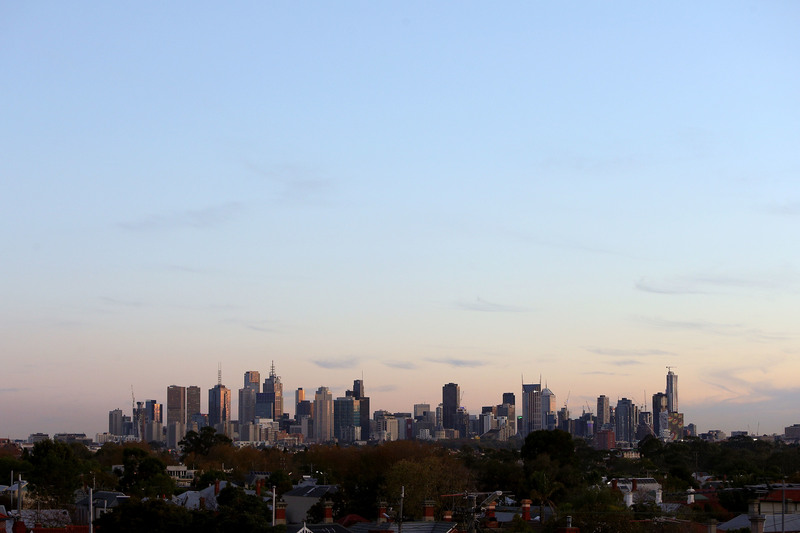 So we thought we’d help you out to find some of the best views of Melbourne. 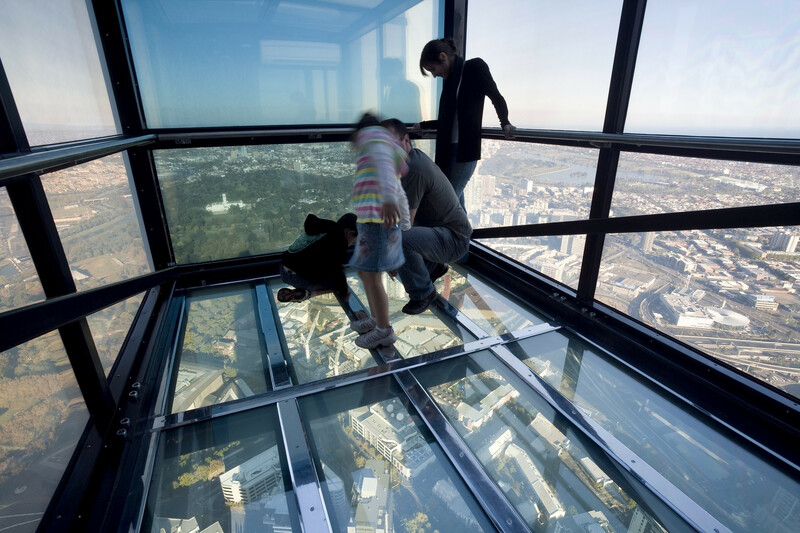 Just don't forget your phone – you're going to want to document this. 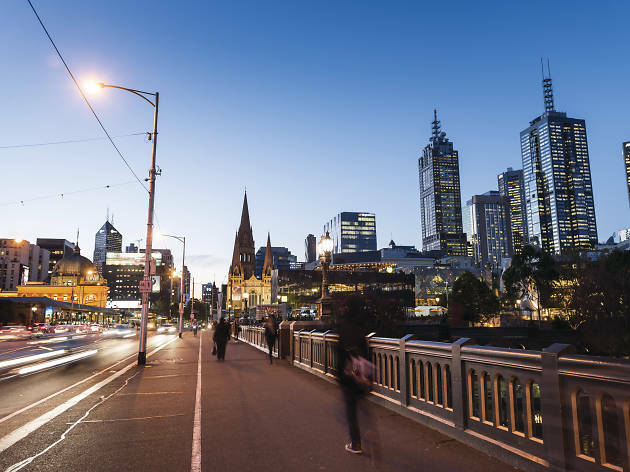 Get more great photos with our guide to the 10 most Instagrammable places in Melbourne, or go for a walk and get to know some of the city's most beautiful buildings while you're at it. 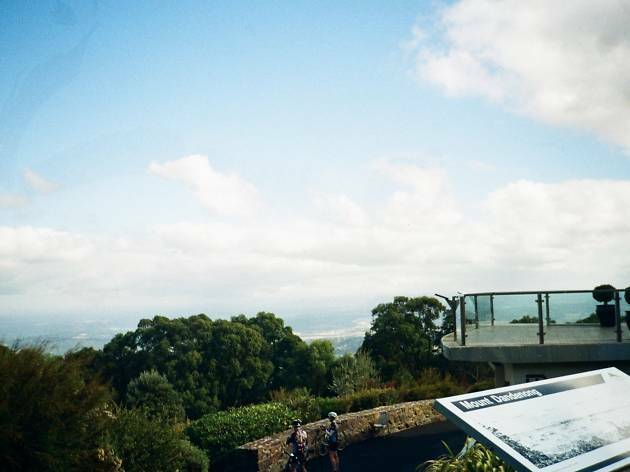 Outside the hum and flow of the city streets, Burkes Lookout at Mount Dandenong offers a quieter spot to view Melbourne, surrounded by bushland and wildlife. 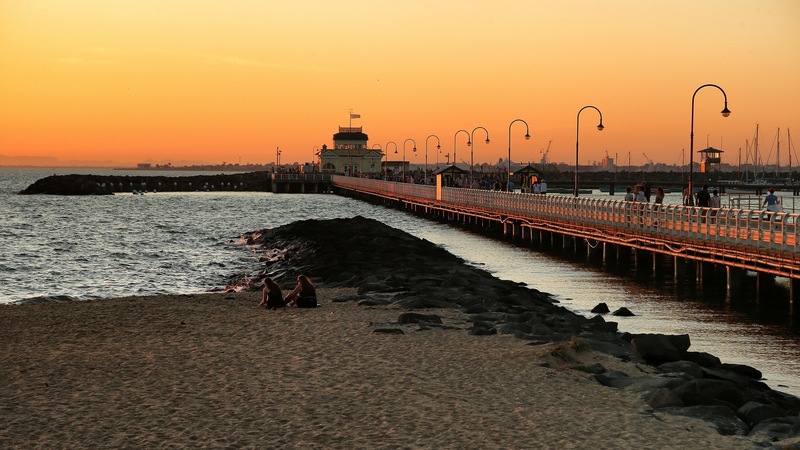 Here at the city’s edge, St Kilda Pier boasts a bright, mast-pierced view of Melbourne’s horizon mixed with salty sea breezes and a view of the water. 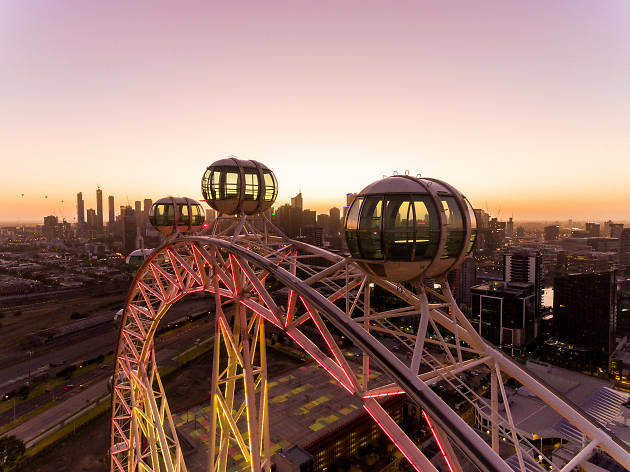 One of Melbourne’s most recognisable lookouts in the city, the Eureka Skydeck offers a memorable experience of the Melbourne skyline with its glass-floored platform and 360-degree windows. Unlike the other lookouts on this list, the Melbourne Star offers a moving view of the city skyline. 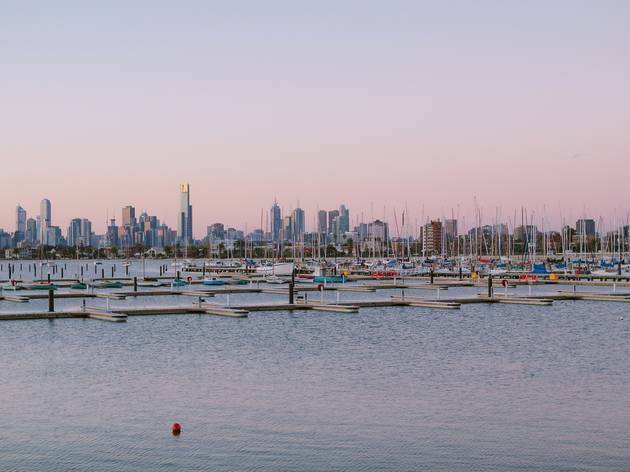 Featuring a mixture of water, skyscrapers and Melbourne’s industrial surroundings, this is one of the more diverse options the city has to offer. 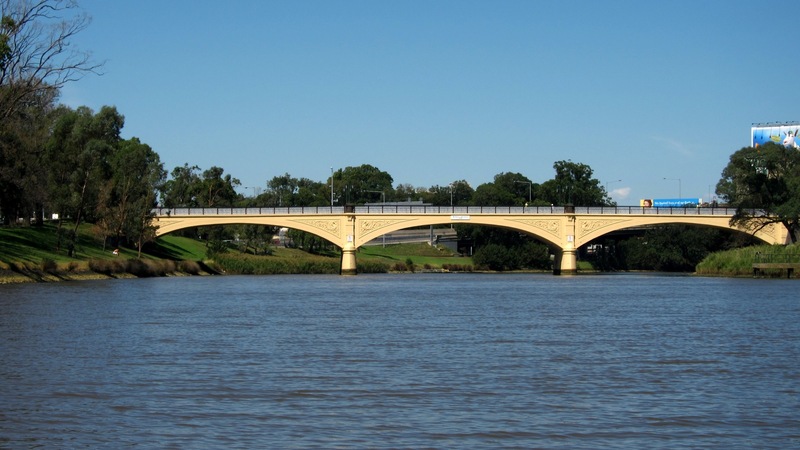 Built in 1888 to cross the Yarra River, this spot holds one of the older views on this list. 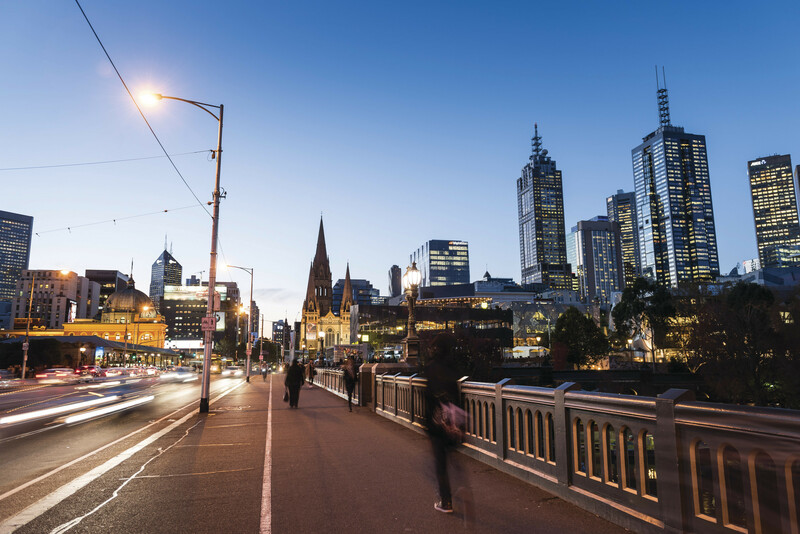 The bustling walkway of Princes Bridge (which connects people from Flinders Street Station to Arts Centre Melbourne and Alexandra Gardens) offers the chance for a panoramic shot of Melbourne at its heart. 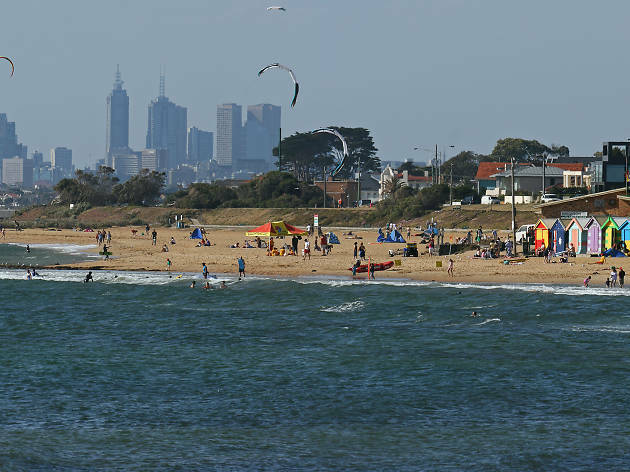 Looking for a view of Melbourne without the water? 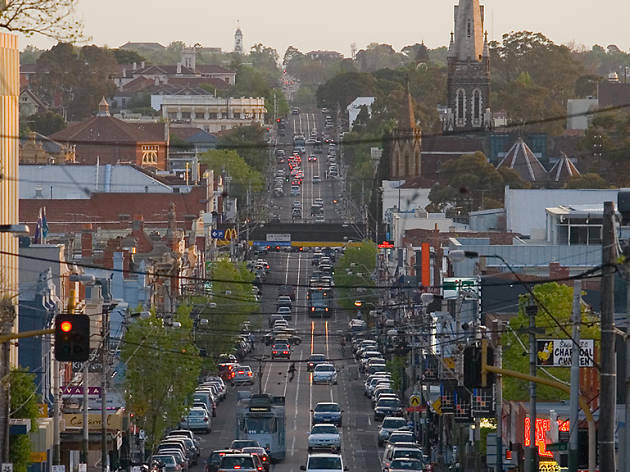 Ruckers Hill in Northcote has you covered with a tree-spattered shot of the city and surrounding suburbs. 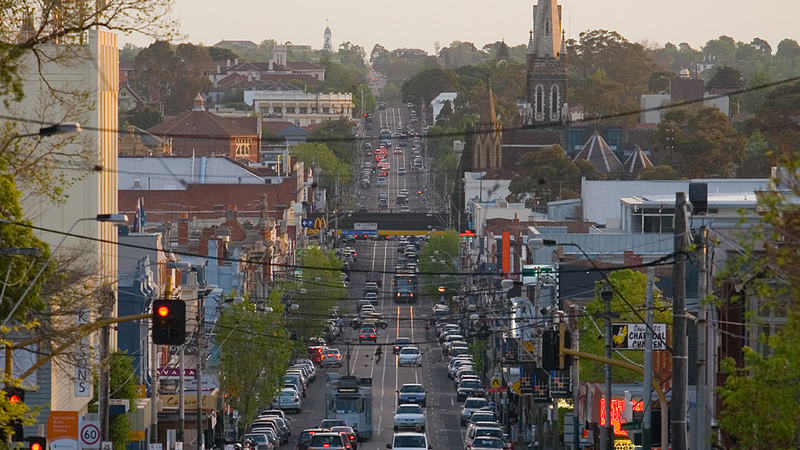 Visit in the evening to see it sparkle gold as the streetlamps light up across the landscape. 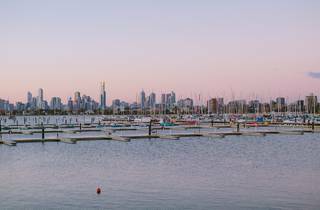 This picturesque spot offers visitors the chance to snap a shot of Melbourne’s horizon line in the company of swans. 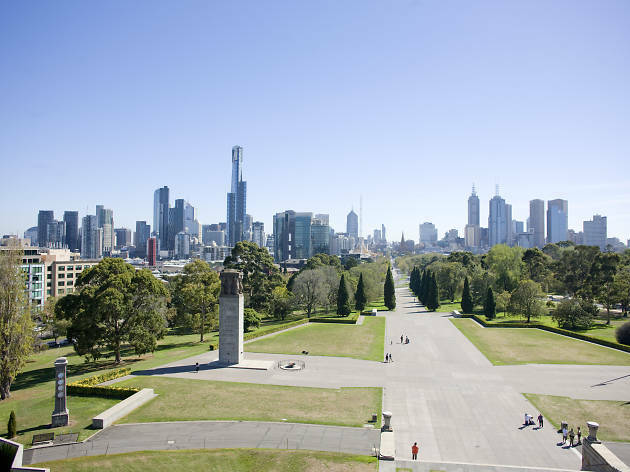 Surrounded by manicured gardens, Albert Park Lake is the perfect place to go for a walk and relax as you take in the view. 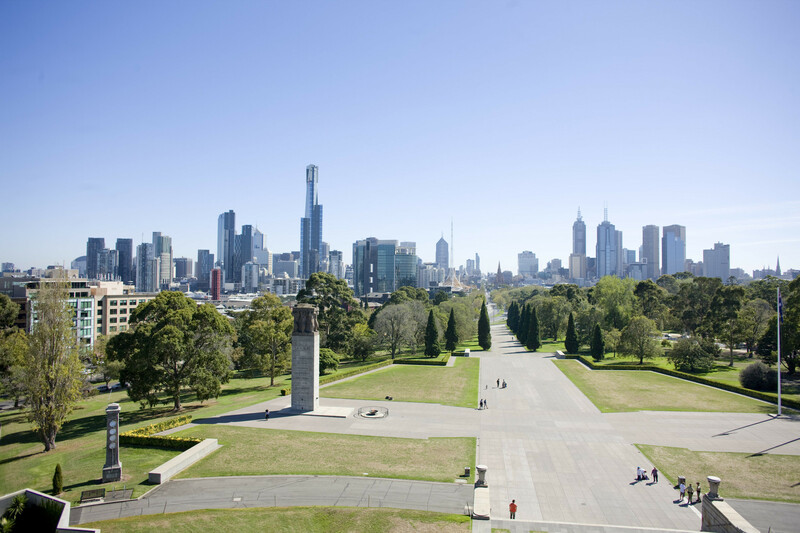 Step inside the sanctity of the Shrine of Remembrance and wander through its halls, up to the balcony lookout to take in the view across its lush, green lawns and the city’s jagged skyline. 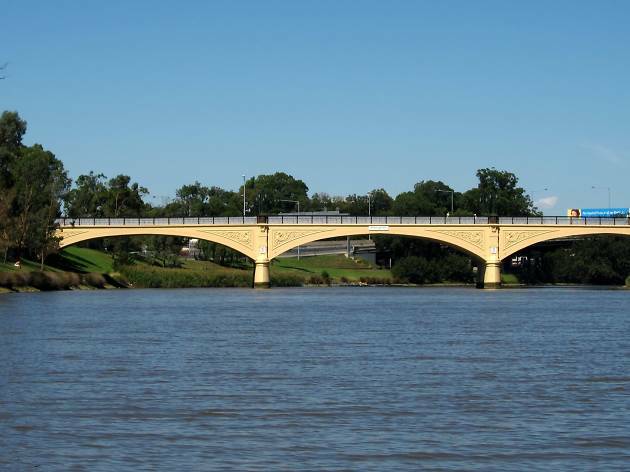 Morell Bridge was constructed in 1899 over dry land, but after the Yarra River was diverted, the newly carved-out waterway provided the bridge with an irresistible waterside spot to absorb the city. 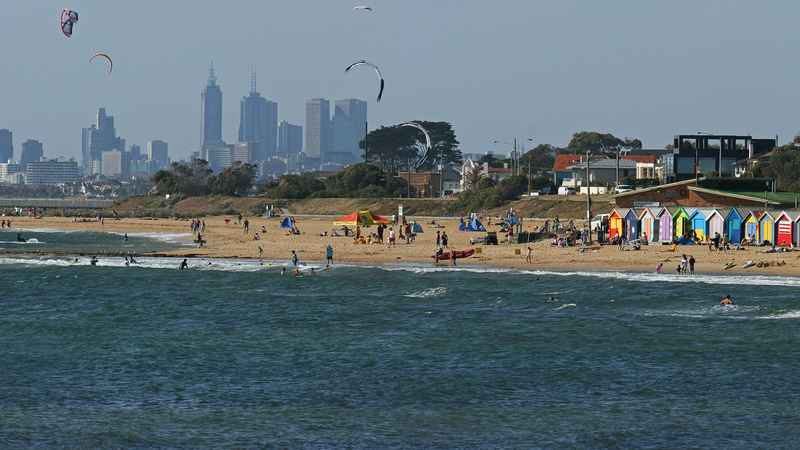 Brighton Beach is a popular place for locals and tourists alike, and its pier’s view of brilliant blue waters and colourful beach huts deliver a peachy image of Melbourne’s profile. 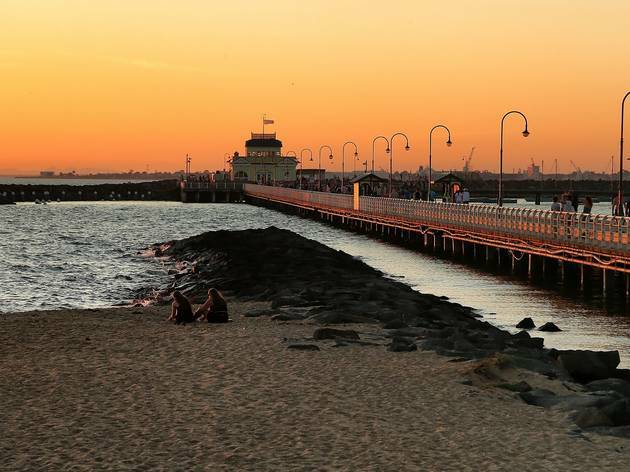 Gem Pier in Williamstown is 145 metres long and surrounded by beautiful waterside views. 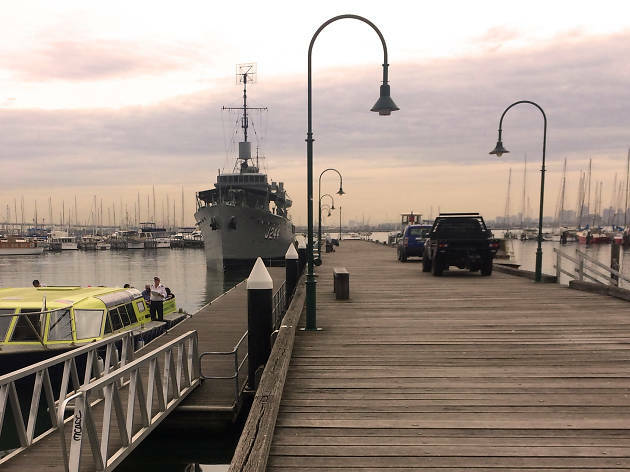 It's the second pier to hold this name, with the old one being renamed ‘Old Pier’ in 1853. 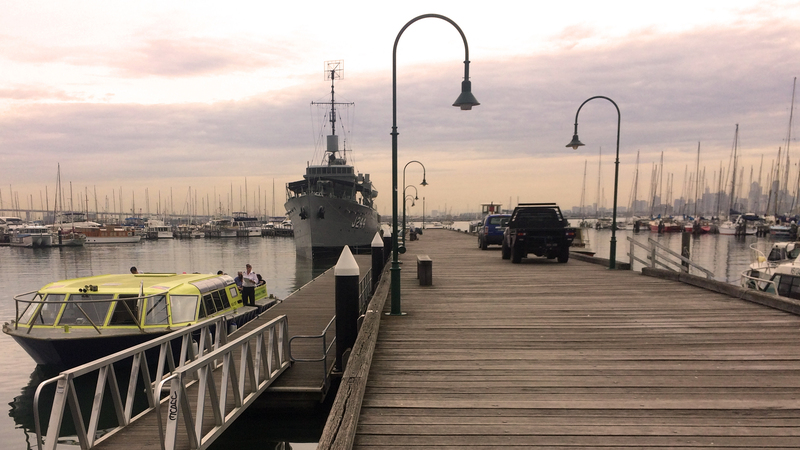 The modern-day Gem Pier has also undergone a couple of name changes, from ‘New Pier’ to ‘Steamboat Pier’. 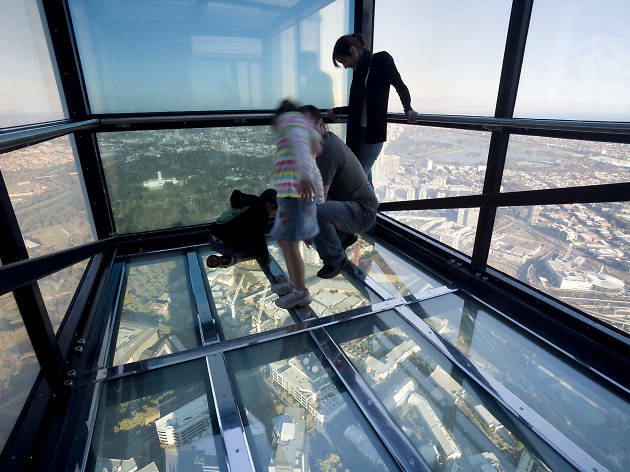 Whatever it’s called, we’re just happy to enjoy its view of the city. 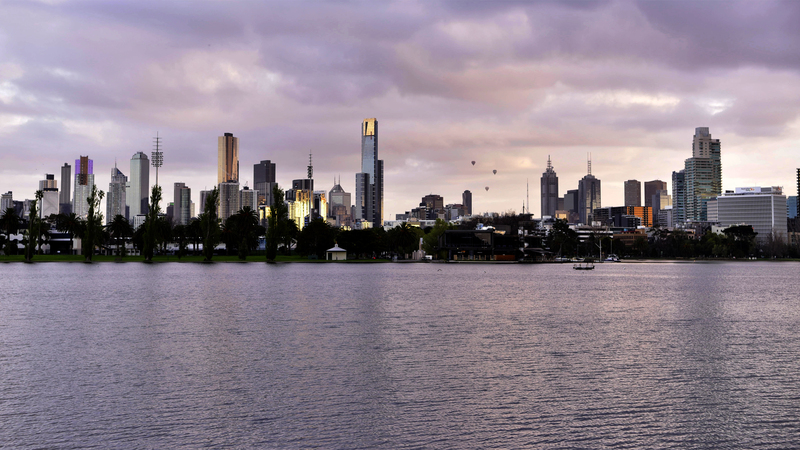 Fancy a drink with your dose of Melbourne? 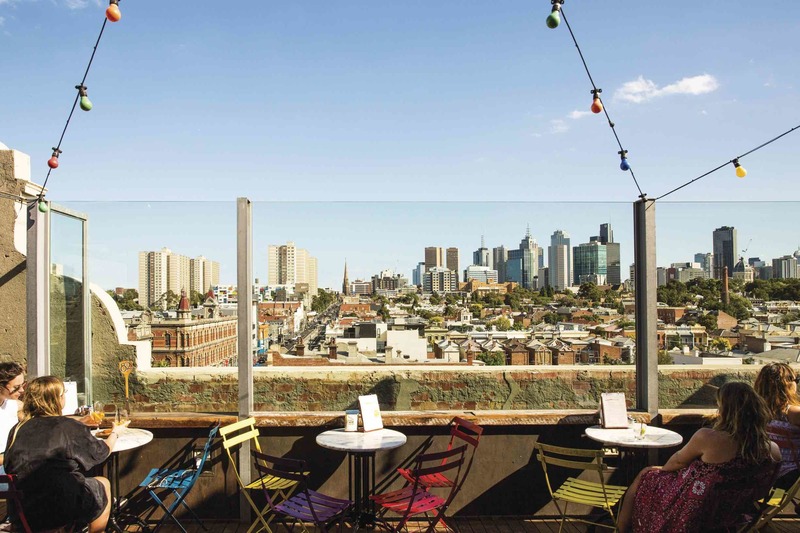 Naked in the Sky in Fitzroy offers a gorgeous perspective on the surrounding suburbs with all the comforts of a rooftop bar. 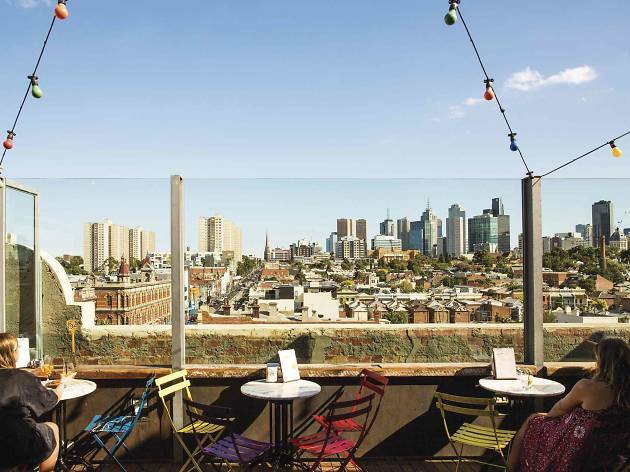 Sit back and sip some wine while you drink in the streets around you. 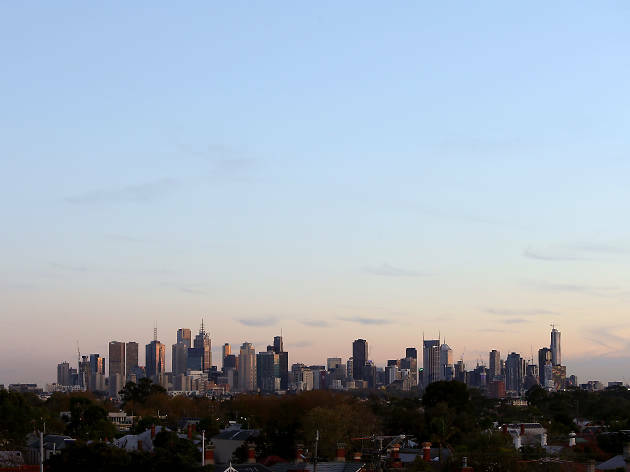 Hidden in suburban Kew, this next view of the skyline is a happy little coincidence amongst the neighbourhood lawns and parkland. 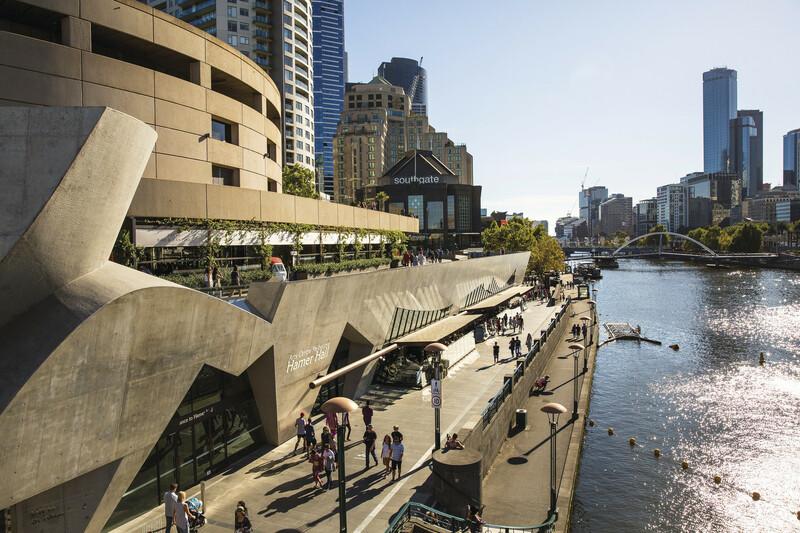 Hamer Hall is known for its theatre performances and concerts, but its balcony offers another of Melbourne’s best views. 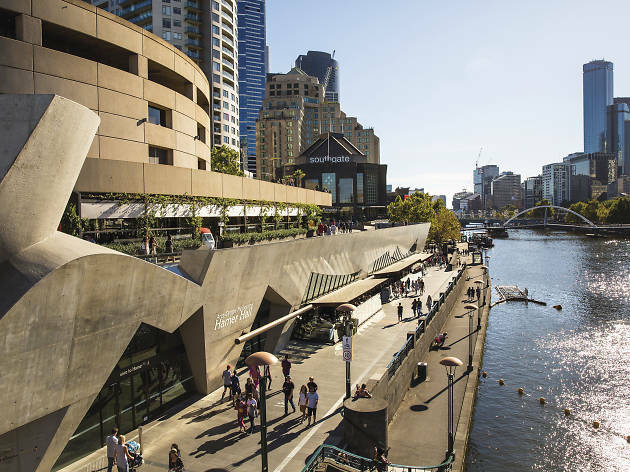 Step outside its warm, red walls to absorb the riverside. 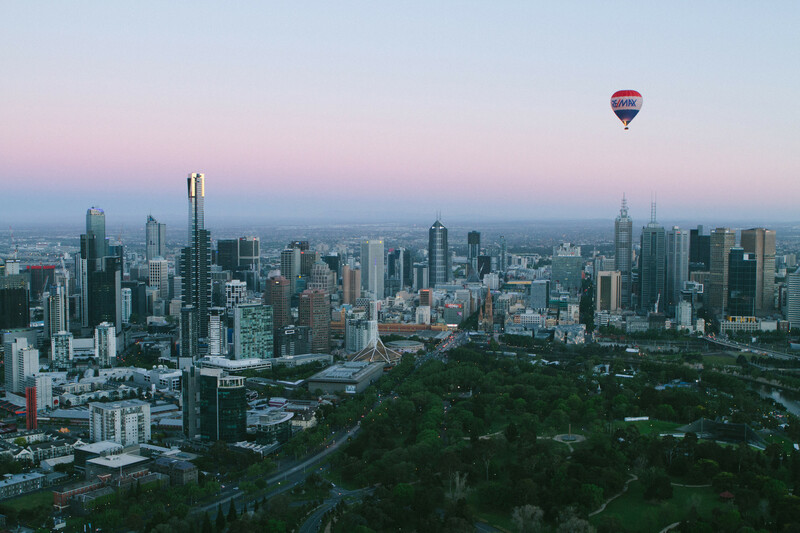 Seeing Melbourne from way up in the sky brings a whole new perspective to the city. 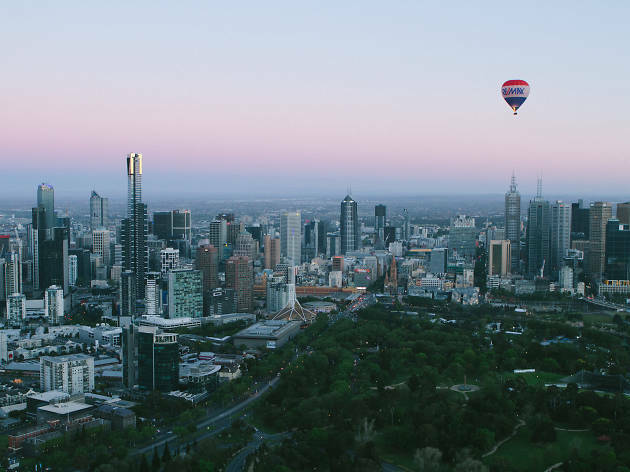 When you're standing, floating, flying or even falling from way above the trees and rooftops you can see things about the city you've missed a thousand times. 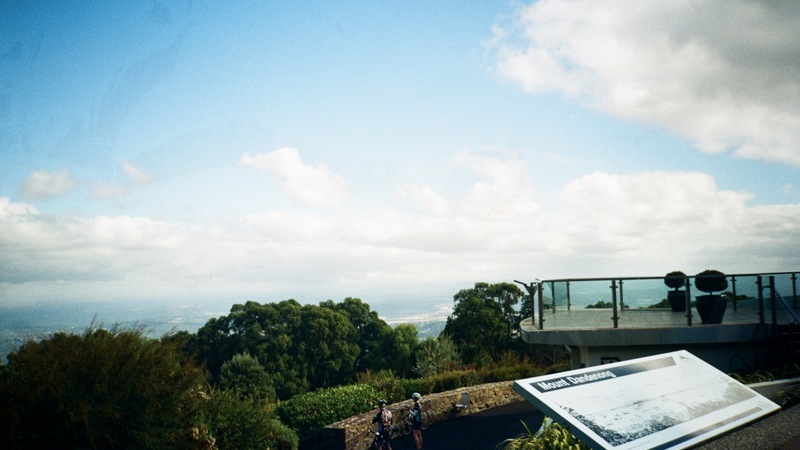 Maybe you'll discover how close that cute coffee shop is to your house, or how you've been oblivious to that park behind your office for years.